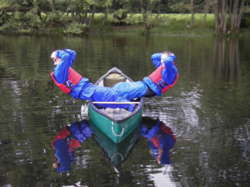 Adventure21 - Kayak and open canoe risk assessmentRisk assessment in the Lake District, Manchester and Lancashire uk. Hazards arising from risk - collision with other paddlers, banging head or other body parts on poolside or other boats and possible entrapment. Effects of hazards - cuts, bruising, and in extreme cases broken bones or drowning. Risk management � qualified experienced person/instructor to be on hand. 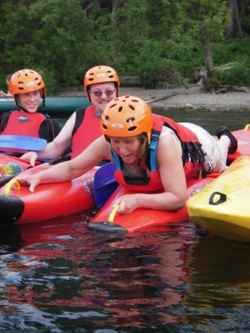 Hazards arising from risk � collision with other paddlers, capsizing kayak/canoe, submersion in cold water. Possible entrapment. Risk management � qualified experienced person/instructor to be on hand. Adequate clothing and safety equipment to be worn during session. Hazards arising from risk � loosing boat and being washed down stream. Entrapment in or out of boat (in extreme cases under water). Submersion in cold water. Effects of hazard � minor bruising, in extreme cases broken bones. Possible hypothermia and in extreme cases drowning. Risk management � qualified experienced person/instructor for the grade of water. Adequate clothing and safety equipment to be worn during session and spare equipment carried.